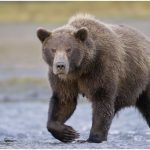 Grizzly in the 48 states of the USA other than Alaska. 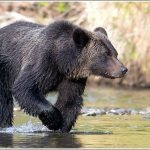 When standing on all its paws, the grizzly can be 3 to 4 feet in height. 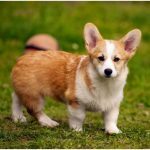 However, when it stretches to its full height on its hind feet, it can stand up to 8 feet. 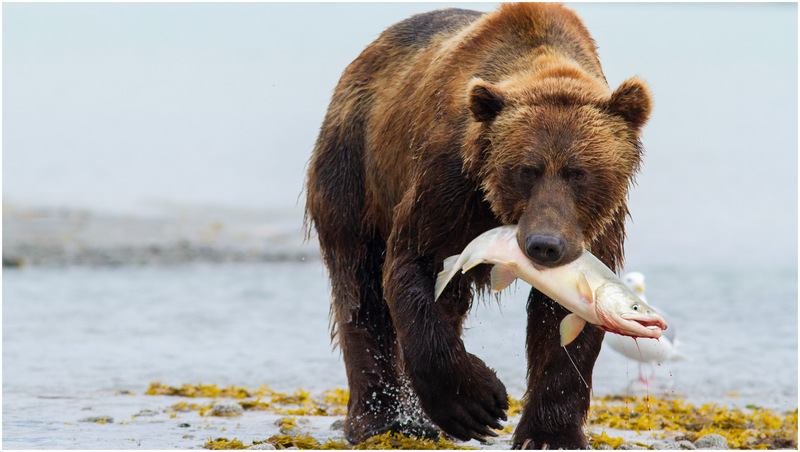 Though sometimes called a carnivorous animal, the grizzly is omnivorous because it eats flesh and vegetables. 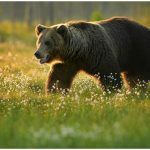 The grizzly’s diet is made of berries, seeds grasses fungi, roots, leaves and nuts. 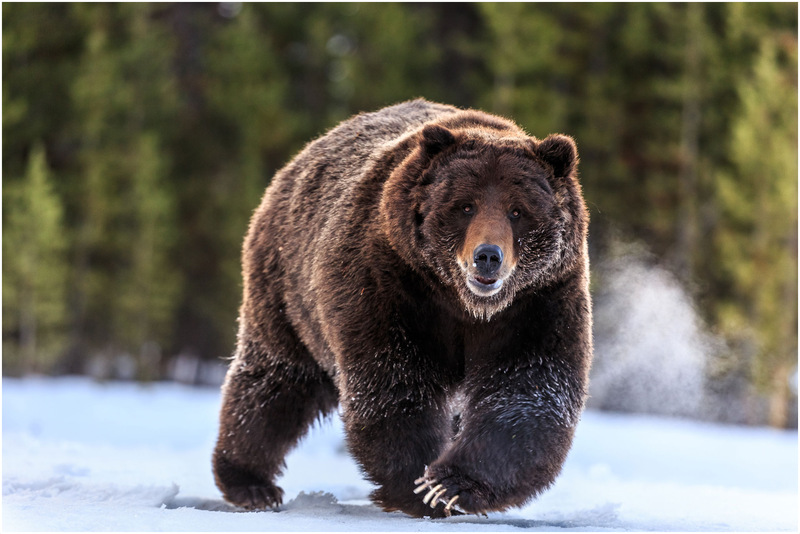 During the period preceding hibernation, for about 2 to 4 months, grizzlies enter a period of multiplying calorie intake in preparation for hibernation. 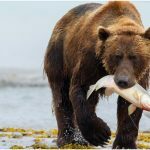 They can eat up to 25 fishes daily and gain as much as 3 pounds of fat each day to act as food reserves during hibernation. They can hibernate for 5 to 8 months annually. They eat less and survive on fat reserves accumulated before hibernation. 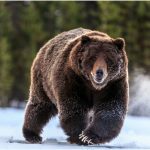 The heart rate and breathing process are slowed down during hibernation and the metabolic processes are also slowed. 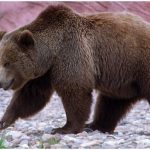 Grizzlies can wake up any time during hibernation. 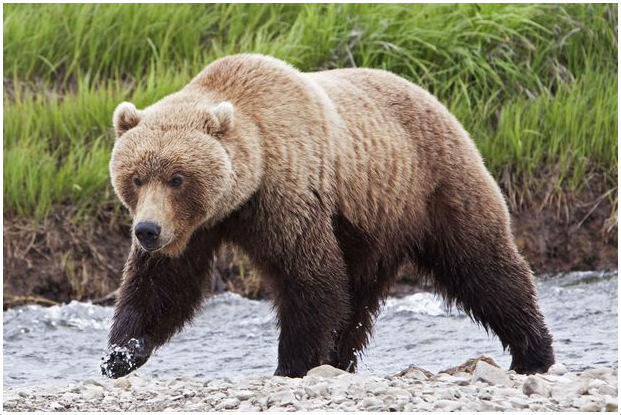 Grizzlies can be found in Glacier National Park and Yellowstone National park in larger numbers. 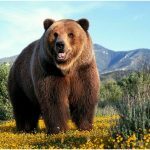 Did you know that the only predators of grizzlies are the humans? 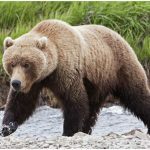 Grizzlies were massively hunted down in the 1970s and 1980s which greatly depleted their population. 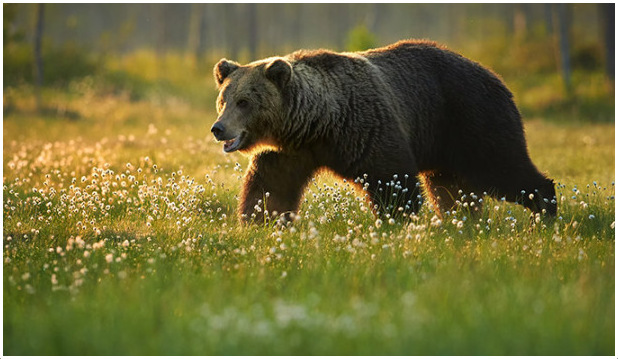 Nowadays they are protected by law, therefore hunting grizzlies is illegal. This has contributed to a gradual rise in their population. They have multiplied and moved from endangered species to threatened one, thus making them less vulnerable to being extinct. Grizzlies take a considerably long time to reproduce. 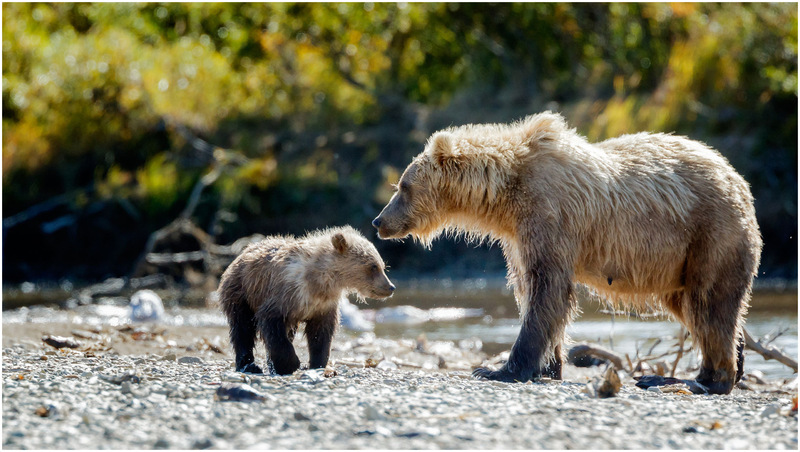 The onset of the grizzlies’ reproduction commences when they are 4 to 5 years old. 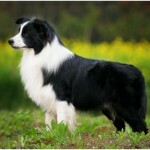 Their mating season is between late spring and beginning of summer, which is from early May to mid-July. Females usually begin hibernation when they are pregnant. Interestingly, females delay implanting the egg into the uterus till October or November. Just before end of hibernation, the female will cub. The gestation period lasts between 180 to 270 days. Cubs will continue to be nurtured by the mother till they are 2 to 4 years old. 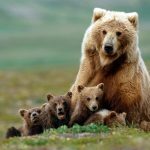 Like many mothers with cubs in the wild, mother bear is very protective of her cubs. She can tear to pieces anyone or anything that comes close to her cubs. 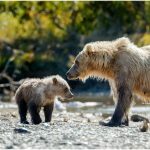 Grizzlies give birth between 1 and 4 cubs. On average, each female reproduces 2 to 3 cubs. Mother bear nurses them till they are about 20 pounds before emerging from hibernation. The cubs begin climbing trees from a tender age. After sometime, they lose the ability to climb tree due to elongated claws. 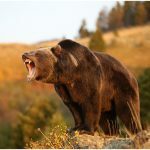 A bear’s claws can be as long as a human’s finger. 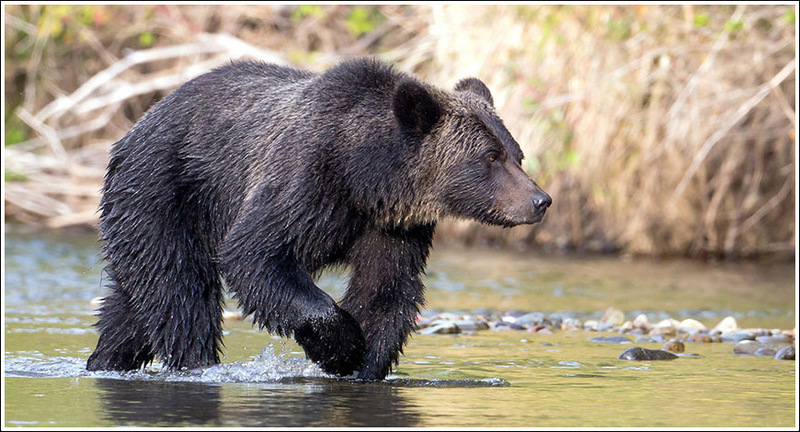 Grizzlies can swim like an expert. 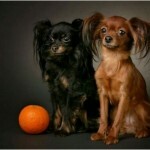 They can run as fast as 50km/h. 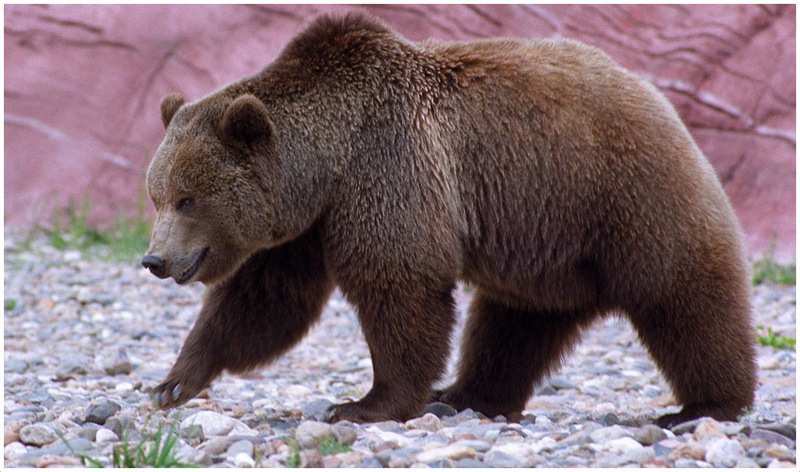 Grizzlies live 30 years of their lives in the wild and about 40 years of their life in hibernation. Bears are generally solitary animals. This is so especially for the male bear. 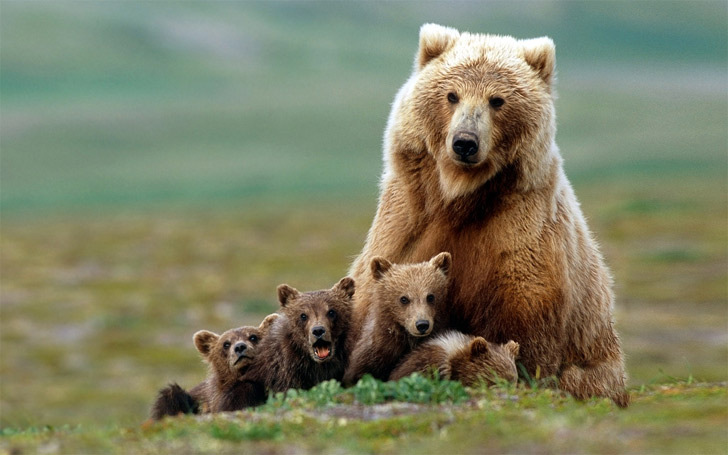 The female bear nurtures her cubs for 2 to 4 years. They are not very territorial. Sometimes they can feed together when food is plenty, for instance at salmon streams. 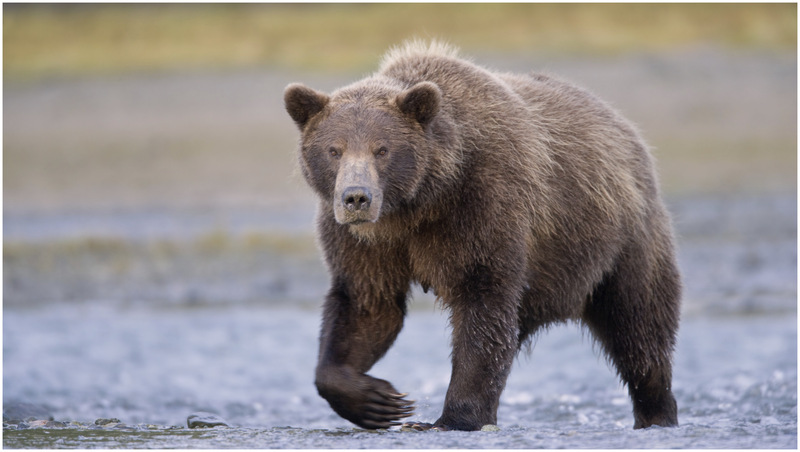 The legendary grizzly is famous for its running speed and agility in swimming, which are surprising considering that it walks in a lumbering manner and it is huge. 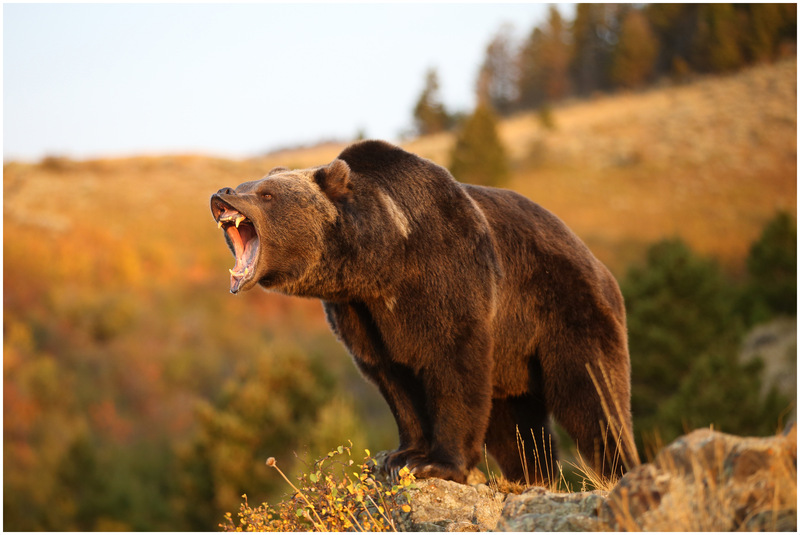 A grizzly can combine its height, weight, immense strength, speed and superior senses to protect itself. 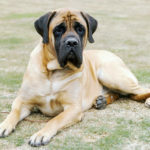 Rising to a full 8 feet on its hind legs and growling, they can easily attack humans in their territories. As civilized humans, we should show our superiority by caring for the environment and the flora and fauna we have been endowed with. 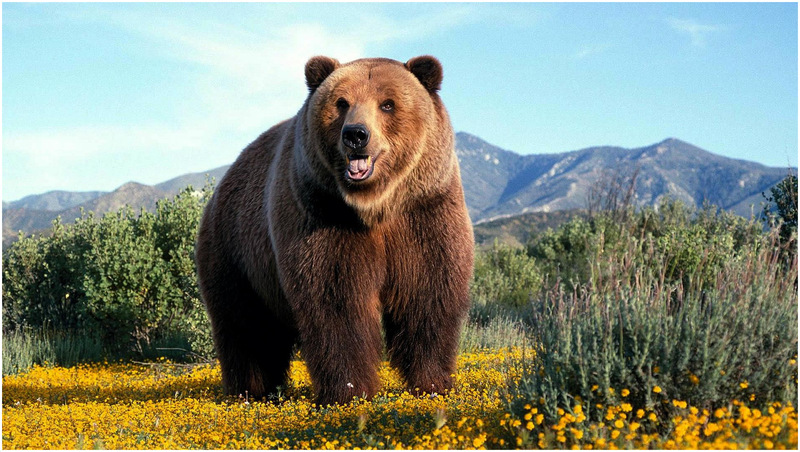 Let us promote the growth of grizzly bears.